Well the makers of the Cthulhu RTA have gotten into the RDA game, and just as they rocked the RTA design world they have done it again with their latest creation! It’s like a blend of all the best qualities of a Derringer, Aeolus, and the Aromamizer wrapped into one tight little package! 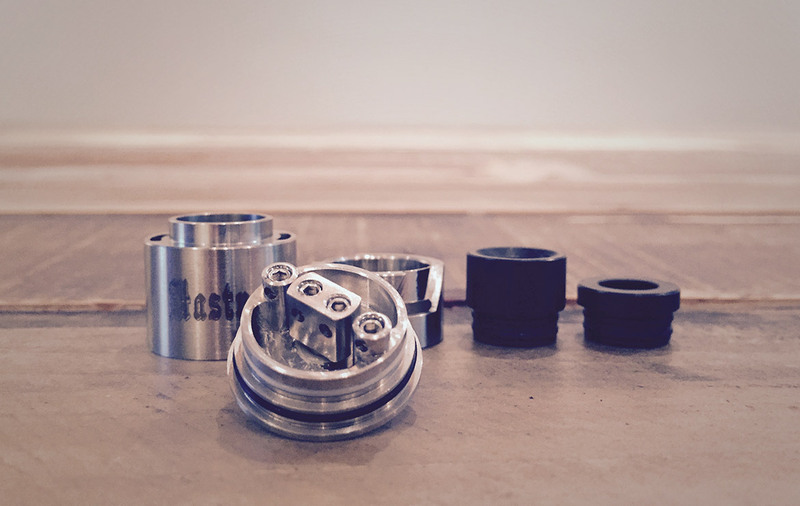 Top airflow RDAs are becoming popular and most likely for their smooth wooshy airflow and great flavour. 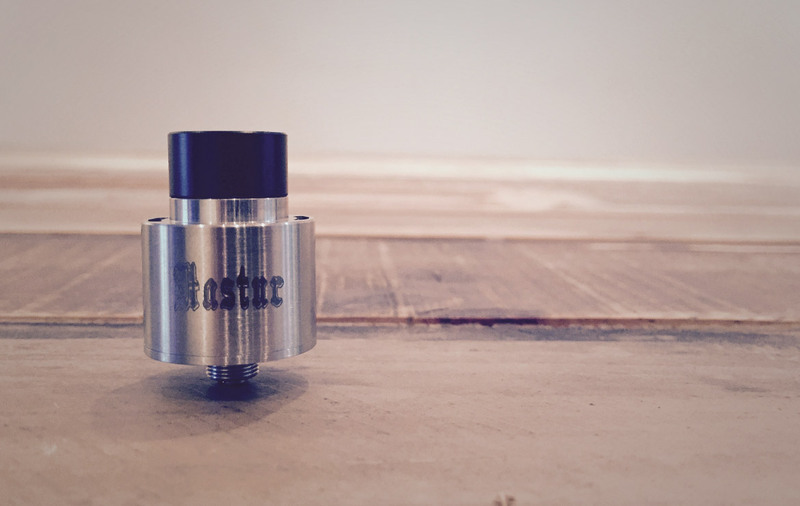 Well the Hastur takes things up a couple notches for sure, with a vortex AFC design and a riffled wide bore drip tip it is some of the nicest airflow we have ever experienced! Throw in a condensed vapor chamber and air that hits from the bottom of the coils and it is truly an innovative and winning design. Warm luscious flavour is all we can say. This is one of the best vapes we have had to date. We threw in a 24 ga, 8wrap, 0.35 Ohm, dual, 3mm build and run it at 45W and wow! Close the airflow a third of the way and you are golden. Cthulhu Mod is making some pure magic and at a price that can’t be ignored. Authentic, innovative, amazing performance and all for $23 USD! The build deck is a nice and tight 4 post design with grub screws. 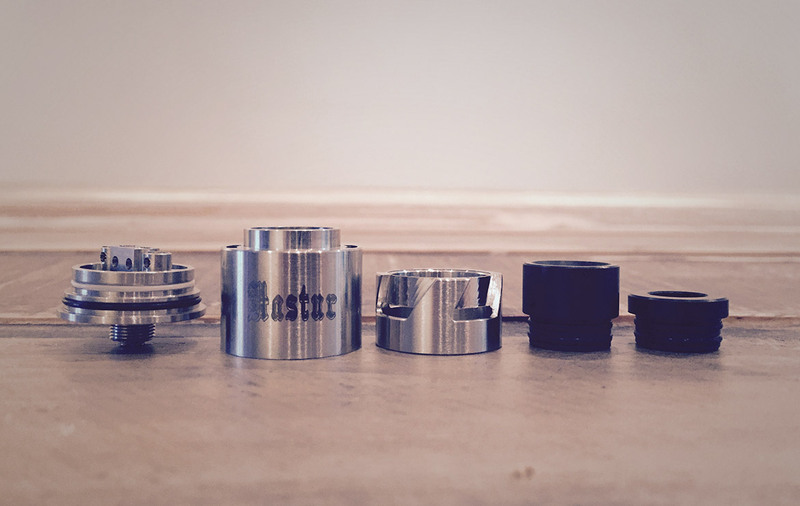 It’s an easy build, easy to centre your coils, but a little tight for wicking (grab a UD wicking tool, works great). There is one con, the grub screw allen holes are a little wonky, not perfectly sized, but they work just fine and almost help you to not over tighten your wire. To be honest at the price it’s not really a big deal and everything else about this RDA is top notch. A lot of detail and effort was put into the design. The inner AFC center ring has perfect resistance, you can easily adjust the outer ring/top cap without worrying about it moving around on you. The top cap has a nice tight resistance that stops any chance of leaking. Make sure to get your coils high enough that you get airflow hitting a bit of the bottom of your coils. It has great airflow, with tons of options, we found that closing them a little give you great wooshy smooth flavour. Make sure to not over wick, just enough to hit the deck, you don’t want to block that airflow. Also, the juice well is tight, you can drip like crazy and it won’t leak but it will mute your flavour, we found 9 drops from a unicorn bottle is the perfect amount. Dripping down the riffled drip tip is easy as hell, being a two center ring design it will suffer from a little condensation mess if you continuously remove your top cap. 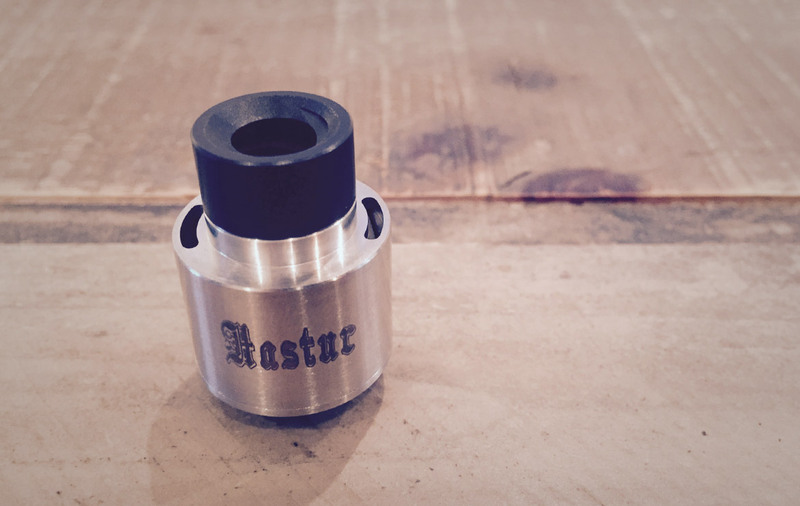 We found removing the drip tip gives you more than enough of a view of your build. This is a must have RDA, great flavour, unique design features, super smooth wooshy airflow, and all at a great price make this a no brainer! Pick one up now! We could keep gushing but what it the point, it’s just awesome (we would give it a perfect rating if it weren’t for those grub screws)! Update: We are changing our rating to a perfect 10/10, the grub screws are fine, its the allen key, its not the right size. Just get yourself another 1.5mm allen key or use one from another atty. Cons: At this price none really!